For more than 3 decades I have photographed people, interiors, exteriors, beach huts around the world & the entire English coast for the follow up to my book 'I saw two Englands. 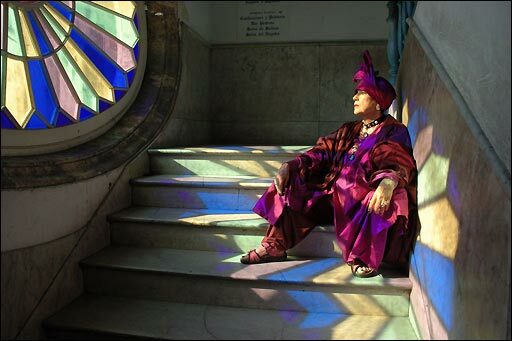 My most recent project saw me accompanying Molly Parkin to Havana Cuba where I photographed her for some up coming magazine articles. The picture of Molly standing in front of her painting ‘Las Vegas Lay’ to the right was taken at her recent exhibition at the Chelsea Arts Club & has been used as a poster. The stunning picture at the top of this page is Molly inside the Palacio de Artisania bathed in stained glass tinted light. To read more about my life & works.